A dinner party is always a fun affair. Whether it is for a birthday, a housewarming or for no reason at all, a party is a great way to spend time with friends. Adding a fantastic theme complete with accessories and unique details will really impress your guests. 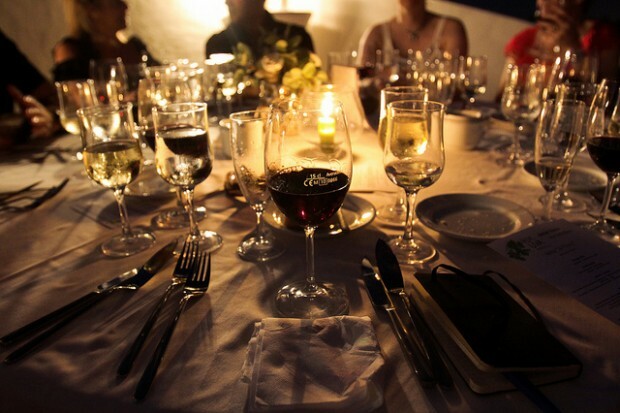 Here are four fabulous dinner party themes to give your night a lasting impression. Everyone longs to relive the “good old days” once in a while, so why not make it the theme of your dinner party? Choose an era and decorate and dress accordingly. Some fun eras include: 20’s, 50’s or 80’s. Make signature cocktails based on what was popular at the time. Make sure to have a great music selection ready and take lots of pictures. Another fun theme for a dinner party is murder mystery. This theme is based on guessing “Who did it?” based on clues. Each guest is told their character on their invitation and they are to arrive dressed in character to the party. Using a set plot and clues, guests try to figure out who the murderer is throughout the evening. This is an entertaining way to keep the mystery going and provide entertainment throughout the night. One fun theme to consider is Hollywood glam. Encourage guests to dress in their best suit and gown. Roll out a red carpet and decorate with lots of sparkle. A great way to easily add that sparkle is to use beautiful wine accessories from places like Bella Vita that carry products like bottle stoppers or wine glass charms. Serve champagne or wine and create dishes based on movie themes. If it is the time of year for the Oscars or Emmys, use some of the nominated actresses and actors and their movies to create a trivia game to play. For a snack later on in the evening, serve gourmet popcorn and listen to a playlist containing soundtracks from various blockbusters. Maybe you are celebrating Cinco de Mayo or an upcoming trip to Italy. Whatever your reason, an international themed party provides an opportunity to create delicious dishes and decorate with regional flair. You can even make some recipes ahead of time to reduce your stress on the day of the party. No matter what theme you choose, you are sure to impress your guests if you provide great food, decorations and accessories. Give whatever theme you choose 100% effort and your guests will appreciate the great fun you create. Just be prepared to host again—they will be asking when the next party will be! Cozy Wedding: 7 Classy-Yet-Intimate Wedding Ideas Cozy weddings are all about the place, details, and size of the guest list.